Local, state, and federal governments in both the U.S. and Canada have been weighing the pros and cons of cannabis legalization for years. The legal battle includes the use of cannabis for both medical and recreational purposes. Most recently, Canadian company Charlotte’s Web – a leading manufacturer of CBD products derived from industrial hemp, is gearing up for an IPO. A new national policy will take effect in October of this year, permitting the legal possession, purchase, and growth of personal use quantities of cannabis for those over the age of 18 in Canada. Other products have also come out of the debate, including cannabidiol (CBD), which is also derived from Cannabis. Regardless of the state of cannabis, CBD has been growing in popularity. It’s a cannabis compound that has yielded significant medical benefits, including relief from pain, anxiety, inflammation, seizure, and other conditions without the psychoactive elements of THC. 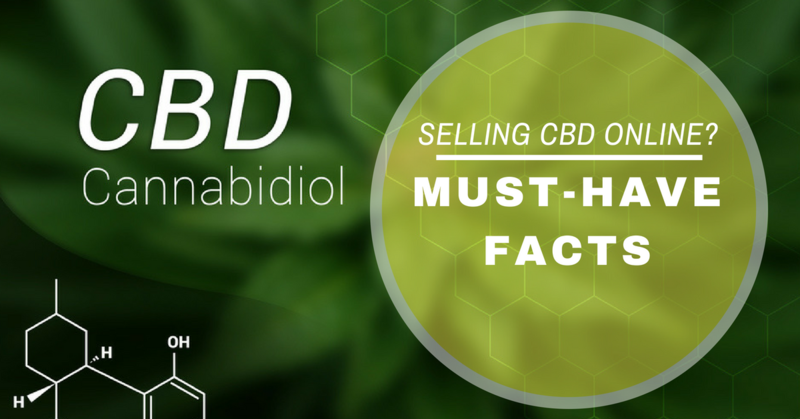 If you are in the business of selling CBD online, you should consider the following factors about your business. These could impact your ability to obtain and keep a healthy merchant account as well as whether or not your business survives. Regardless of its legal status, CBD-related products are classified as high risk by acquiring banks. This is due to the fractured legal positions on the product as it is derived from hemp plant and its uses are widely disputed. In the U.S., the sale and use of cannabis is illegal under federal law, making acquiring banks leery of offering payment processing solutions for online CBD merchants that may have a global customer base. Online CBD merchants may have a hard time determining where and who they are selling to. Google Analytics and other CRM tools may help you identify where your customers are coming from, and you should have tools in place to help you ensure you are compliant with local laws and restrictions. Some CBD products may be restricted or outright forbidden in certain geographic locations, and merchants can be liable for selling in those regions. Be mindful of how you are vetting buyers and ensure that your sales are legal. Online CBD merchants need to have a foolproof payment processing system in place to minimize losses related to fraud. As a restricted product in a high risk category, merchants that sell CBD products are prone to increased fraud and chargebacks. Merchants must employ end-to-end fraud prevention tools to avoid costly fines and fees associated with chargebacks. Merchants also need to mitigate risk by implementing strong authentication measures to confirm customers are who they say they are and that a) a fraudulent transaction does not occur, and b) customers are not breaking the law via their purchase. We specialize in online CBD merchant accounts and can help you get setup with a merchant account and help you keep your account in good standing. We offering payment gateways, fraud prevention tools, chargeback management expertise, and competitive pricing. Reach out today to get your online CBD business set up for success.